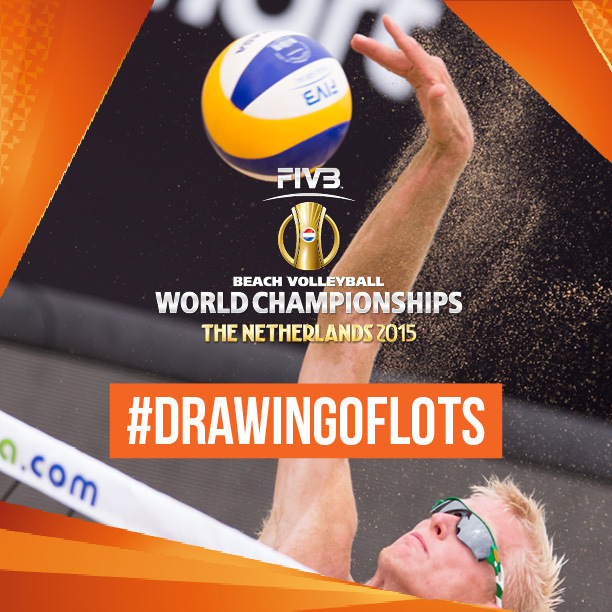 The Hague, the Netherlands, March 30, 2015 – Some of the world’s top beach volleyball stars were in attendance in The Hague where the FIVB Beach Volleyball World Championships The Netherlands 2015 Drawing of Lots took place on Monday. A total of 96 teams – 48 for each gender – will compete at the World Championships from June 26 to July 5, with The Hague, Amsterdam, Apeldoorn and Rotterdam set to welcome the world’s best women’s and men’s duos. The occasion also saw the unveiling of the new FIVB Beach Volleyball World Championships trophy, with the first recipients set to be crowned on July 5.